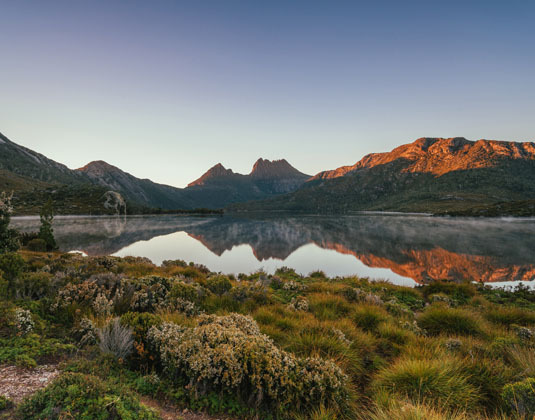 Located in the middle of Tasmania, Cradle Mountain-Lake St Clair is easily accessible from either Hobart or Launceston and is undeniably one of Australia's most beautiful national parks. 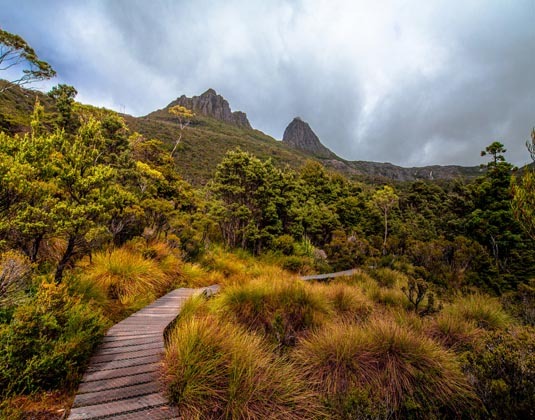 The diverse landscape includes the jagged contours of Cradle Mountain, ancient rainforest and alpine heathlands, buttongrass and deciduous beech along with glacial lakes. Dramatic Cradle Mountain is the rugged highlight of the park and is situated at the northern point with beautiful Dove Lake adjacent to it. 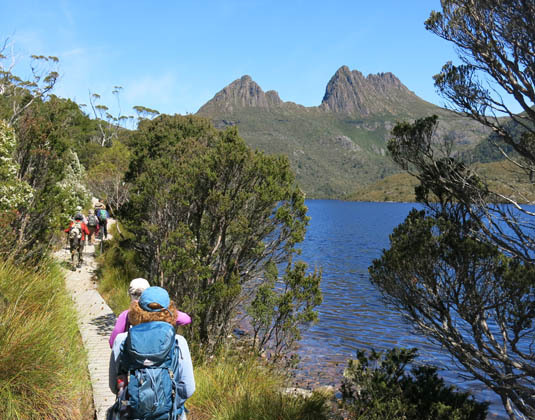 Take the two hour walk around the lake, spend the day tackling Cradle Mountain's summit or opt for one of the shorter walks that pass through beautiful old-growth rainforest. The Lake St Clair section of the park is a walker's paradise with leisurely lakeside strolls and longer forest walks. Visitors in late spring and summer can witness a brilliant display of wildflowers including waratahs, orchids, banksias, hakeas and leatherwoods. Cradle Mountain is one of the best places to see Tasmanian wildlife with pademelon, wallabies, wombats all spotted throughout the year. Devils@Cradle is a wildlife sanctuary on the edge of the national park that helps support the conservation of Tasmanian Devils. Within an hour of Cradle Mountain are premium vineyards offering tastings and quality dining, as well as picturesque surroundings. Why visit Cradle Mountain National Park? 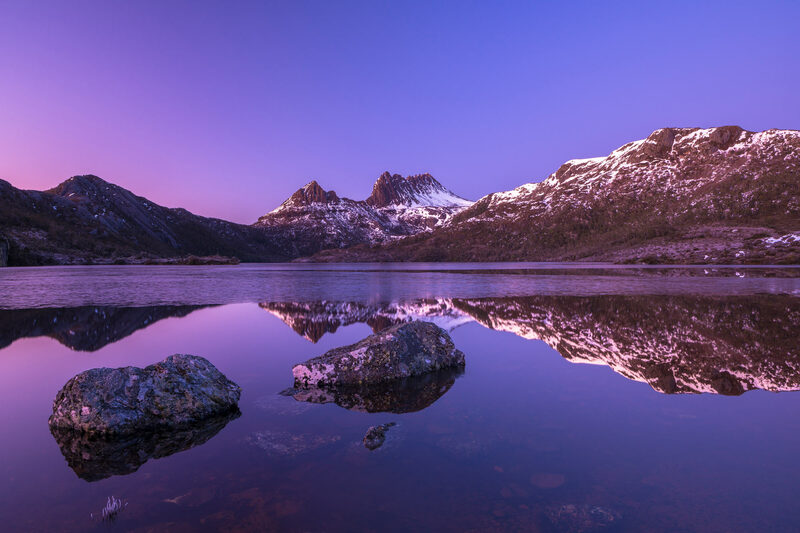 Call and speak to one of our travel experts who have experienced Cradle Mountain National Park personally. 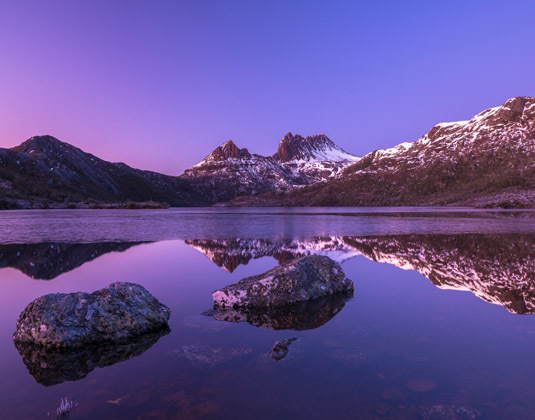 Cradle Mountain is 2½ hours drive from Hobart or 1½ hours drive from Launceston. This popular park enjoys warm temperatures from December to April, but even then the weather can be unpredictable. Prepare for four seasons in one day!